It’s back! 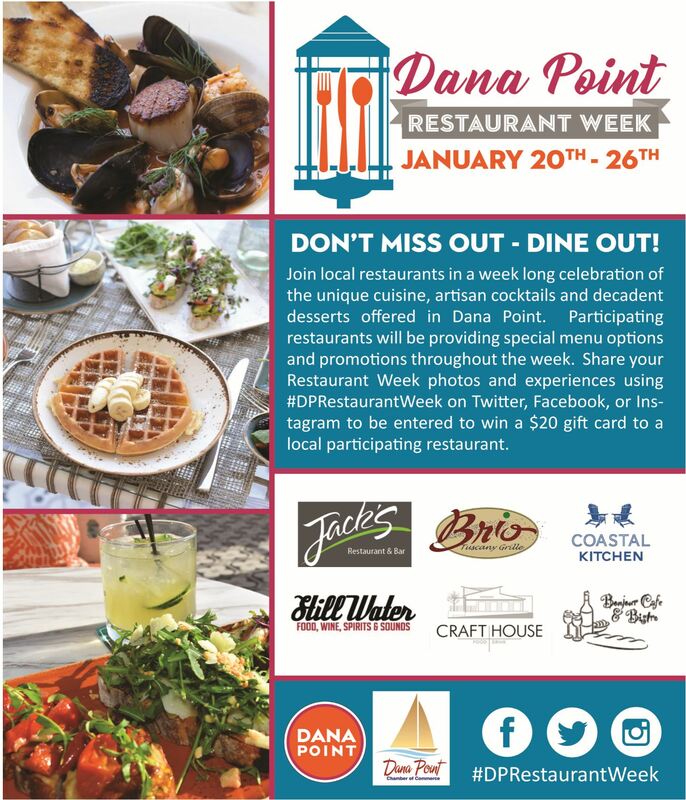 Dana Point Restaurant Week (DPRW) will be happening January 20-26, 2019. This year is going to be bigger and better than ever as we team up with the Dana Point Chamber of Commerce and Visit Dana Point. This week is an opportunity to shine a light on all the great cuisine that is found throughout Dana Point and encourages locals to eat local. Participating restaurants are to have themed menus focused on seasonality, local fare, special ingredient, signature cocktail and special pricing. 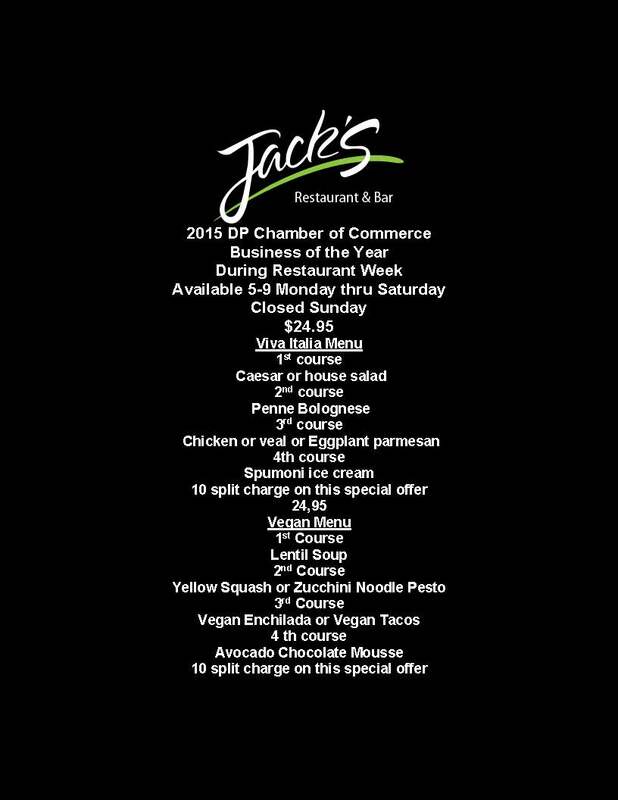 We will also once again be running a #dprestaurantweek social media raffle which encourages those eating at participating restaurants to post pictures of their meals throughout the week using the #dprestaurantweek. Bonjour Cafe – $15 lunch prifixe menu includes choice of soup, half sandwhich, and non-alcoholic beverage. Please check with your server for restrictions. Please contact Rachel Johnson with any questions, rjohnson@danapoint.org or (949) 248-3553.